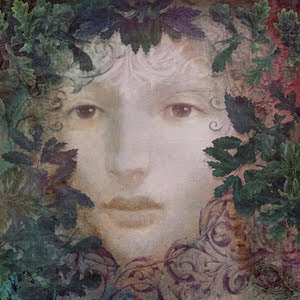 "All theory, dear friend, is gray, but the golden tree of life springs ever green." The color vibration for today is green. 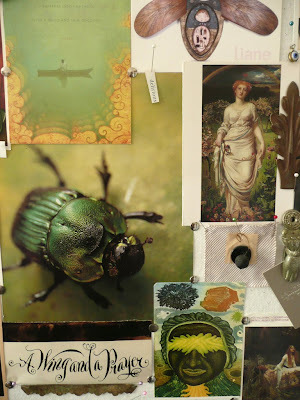 Above the green portion of the inspiration board in my studio, below Eve modeling the perfume locket necklace. 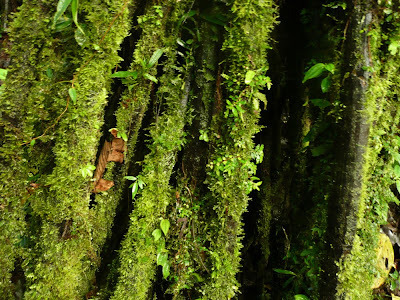 The Amazon jungle in Ecuador from our trip last summer, a definitive festival of green that requires our defending from burger conglomerates. "Smell me"...the latest addition to the Illuminated Perfume tribe, a green floral based on the book Alice's Adventures in Wonderland. Q illumination by Greg Spalenka. 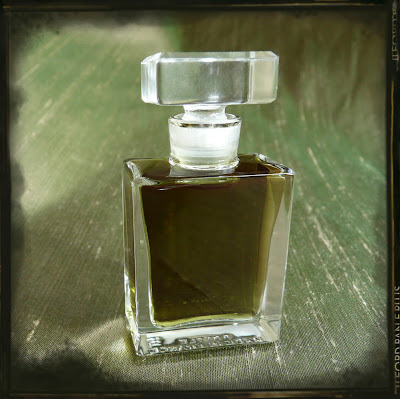 Q botanical perfume, 7 grams of the verdant oak perfume in it's glass flacon. The color harmony of this perfume is the deep green of the leathery Coastal Live oak leaves. "Green how I want you green. Green wind. Green branches." This is my second contribution to the Poppytalk's Spring Color Week, yesterday was pink, see you in the morrow for the tunes and tonalities of mellow yellow. Smell Me looks very enticing!